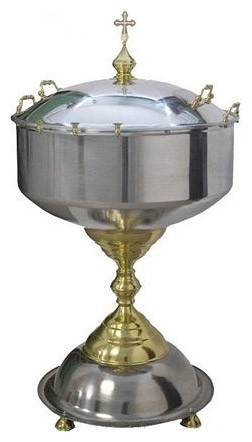 Baptismal font - 70 L - Istok Church Supplies Corp. Traditional Orthodox Christian water blessing tank with support. Aluminium, brass, nickel-plating. Size: 27.6''x27.6''x47.2'' (70x70x120 cm). Volume: 70.0 L.